JOEL THOMAS HYNES is a multidisciplinary artist from Newfoundland, Canada. 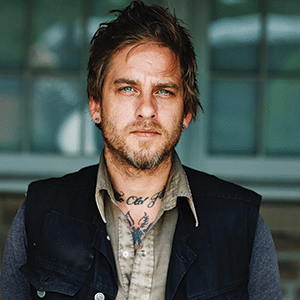 His most recent novel We’ll All Be Burnt in Our Beds Some Night won the Governor General’s Award for Fiction, the BMO Winterset Award, and longlisted for the Scotiabank Giller Prize. Other works include Down to the Dirt (adapted to screen in 2008), Right Away Monday, Straight Razor Days, God Help Thee: A Manifesto and Say Nothing Saw Wood (adapted, by Hynes, to the big screen under the title Cast No Shadow and won numerous awards including four Canadian Screen Award Nominations). Hynes is the creator, an executive producer and lead actor for the new CBC comedy series Little Dog and recently released his first full length album, Dead Man’s Melody, available on iTunes, Spotify and CDBaby.